Part of our business at FPF Global, is acting as a customs clearance agent on behalf of our existing clients and new importers. FPF Global provides a comprehensive customs clearance service at all major UK airports and seaports, therefore being an ideal company to handle the customs clearance of your import cargo. Whether you are shipping goods from China, importing goods from the USA or elsewhere in the world – FPF Global will be your customs clearance agent, to provide a reliable and cost effective UK customs clearance service on your behalf. At FPF Global we had noticed that many clients were asking similar questions about the process of customs clearing their import cargo. So we have outlined below some of the most frequently asked questions that we receive. What is a Customs Clearance? For any goods which are entering the EU (European Union) from a Non EU country, a formal import customs declaration must be made. 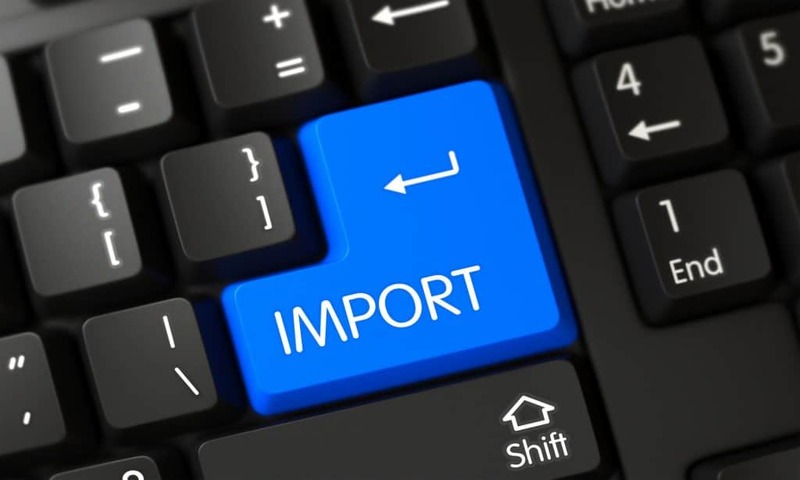 This is so that HM Revenue & Customs can ensure the correct payment of any import Duty and/or import VAT is collected from the importer at the time of importation. As well as collecting duties & taxes, by a customs entry being made, enables HM Revenue & Customs to undertake documentary checks on shipping paperwork and also to ensure that any EU requirements on product compliance is met. Why Use A Customs Clearance Agent? FPF Global can act as your customs clearance agent to oversee the clearance of your imported goods. We work in partnership with the importer of the goods, as well as HM Revenue & Customs and other government departments, whom may have an interest in the imported goods. As a professional company, we understand that the process of customs clearance can be complex and time consuming, especially if your shipment is selected for documentary checks, examination or X-ray. Coordination of these different factors, takes time, so by us acting as your customs clearance agent, removes this hassle. Can FPF Global Customs Clear At All Locations? Thanks to advancement in technology and also strategic partnerships in place with like minded businesses, we are able to arrange the customs clearance of your import cargo at most UK airports and seaports. We are most frequently handling the customs clearance of import shipments at; Felixstowe, Southampton, London Gateway, Liverpool, Grangemouth, Dover, Tilbury, London Heathrow, London Gatwick, Birmingham, Manchester & Glasgow. Will Customs Clearance Take Long? There is not a set period of time that a shipment will take to be confirmed as customs cleared. Sometimes import cargo may be subject to delay, due to numerous reasons, including documentation and examination checks. Are there certain documents I need to supply? – Transport Document, usually a Bill of Lading (for sea freight) and an Airwaybill (for air freight) and a CMR Document (for road freight). – Commercial Invoice, this is the document detailing the goods you have purchased from the supplier overseas. This should detail all items being imported and their respective values line by line, with a total at the bottom of the page. – Packing List, whilst not mandatory, it is helpful to have a packing list, detailing the weights, sizes and number of packages being imported. This may also display carton markings or pallet numbers, which are useful if an examination is required on the goods or a warehouse needs to identify a specific carton or pallet. In addition to the above, additional documents that may be required for customs clearance purposes would be a Certificate of Origin, where the country of origin has a trade agreement with the UK or EU. At the time of writing, the standard rate of VAT in the United Kingdom is 20.0% and Duty rates vary. Depending on the type of products and their origin, will affect the level of import duty that is payable. We are often asked “How much Duty and VAT will I have to pay?” but without the importer really understanding the factors involved in reaching these figures. Any products that are imported into the UK/EU are classified according to the type of product, its use, the materials it’s made of etc. Each commodity code will have a different level of Duty associated to it. As you can imagine, there are thousands and thousands of commodity codes, therefore we would encourage an importer who is unsure of the commodity code(s) of their product(s), to find out by searching online for the Government Trade Tariff http://www.gov.uk/trade-tariff. We would remind import clients, that it is their responsibility to classify the products they are importing. So if they are unsure, it is essential to check. How do you pay Import Duty/VAT? FPF Global will provide you with the total amount due to HM Revenue & Customs, broken down into a total of Import Duty and a total of Import VAT. Payment of this must be made immediately, as your goods will not be customs cleared until the funds reach HM Revenue & Customs. Payment of the import Duty and/or import VAT, can be paid directly to HM Revenue & Customs by the importer. Or if the importer prefers, they can pay to FPF Global and then we will pay over to HM Revenue & Customs on your behalf. What happens once my import cargo is customs cleared? Upon receiving confirmation that your goods have customs cleared, the goods are then in Free Circulation can be be transported not only within the UK, but also within the European Union without any further customs restrictions. FPF Global can assist you with the onward delivery of your goods, arranging collection from the airport or seaport on your behalf. Likewise, if you have shipped your goods with FPF Global, then we will automatically be arranging delivery to your nominated address, once customs clearance has been made. We work with a wide range of clients across the UK, assisting them through the complex customs clearance process. We will work with you to provide the fastest customs clearance of your goods and ensure that they are available for onward delivery at the earliest opportunity. More often than not, many of our existing clients whom are using FPF Global as their customs clearance agent, have also utilised our freight forwarding services from overseas. However, this is not mandatory and we are able to assist those clients who have import cargo arriving into a UK airport or seaport, which has been organised by their supplier directly. If you have any further questions about the process of customs clearance and how FPF Global can help you with this, please call our office on 01753 911655 or send us a message via our website.